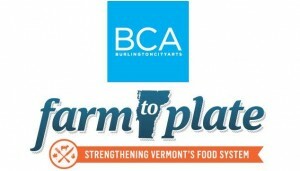 The theme for one section of the senior seminar is Communicating Environmental Issues: Using the Arts for Education, Inspiration and Engagement and project work will center on a collaboration with Burlington City Arts and their partner, Shelburne Farms, as they prepare for their 4th annual “Of Land and Local” Exhibition. The exhibition supports artist-led conversations about social, ethical, and political issues impacting the Vermont landscape and the focus for 2016 will be on water issues. The theme for the second section of the senior seminar will focus on food systems and sustainability and students will undertake 4 projects, all linked to the Vermont Farm to Plate Initiative and several of their key partner organizations such as Hunger Free Vermont, the Composting Association of Vermont, Vermont Energy Investment Corporation, and the Watershed Management Division of the VT Department of Environmental Conservation. View the project descriptions for each section here.